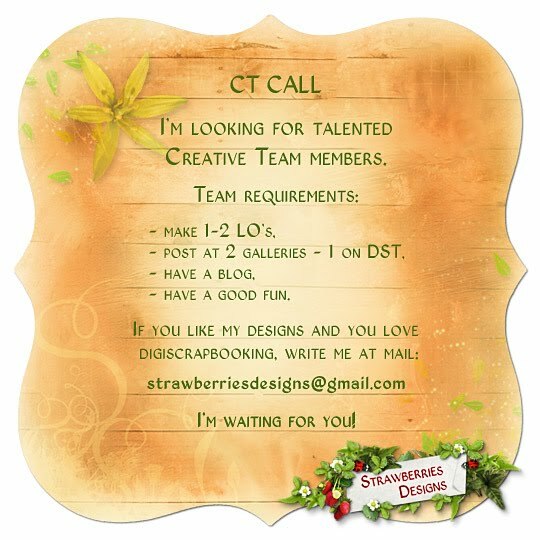 Strawberries Designs digital scrapbooking corner: Appel Call and freebie. Thank you so much for this post. I want to let you know that I posted a link to your blog in CBH Digital Scrapbooking Freebies, under the Page 6 post on Apr. 06, 2010. Thanks again. Thanks for the pretty paper! I already have something planned for it!